With its beautifully designed and cast bronze forms, this clock set is typical of the work of François Linke, the leading craftsman of 19th Century France. 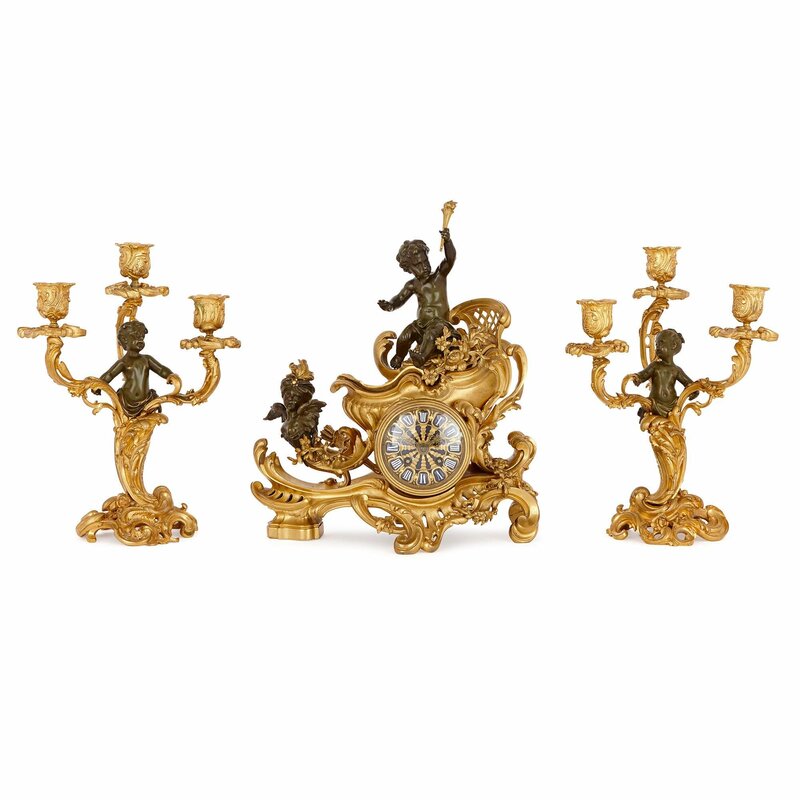 The set is comprised of a central clock and two flanking candelabra. 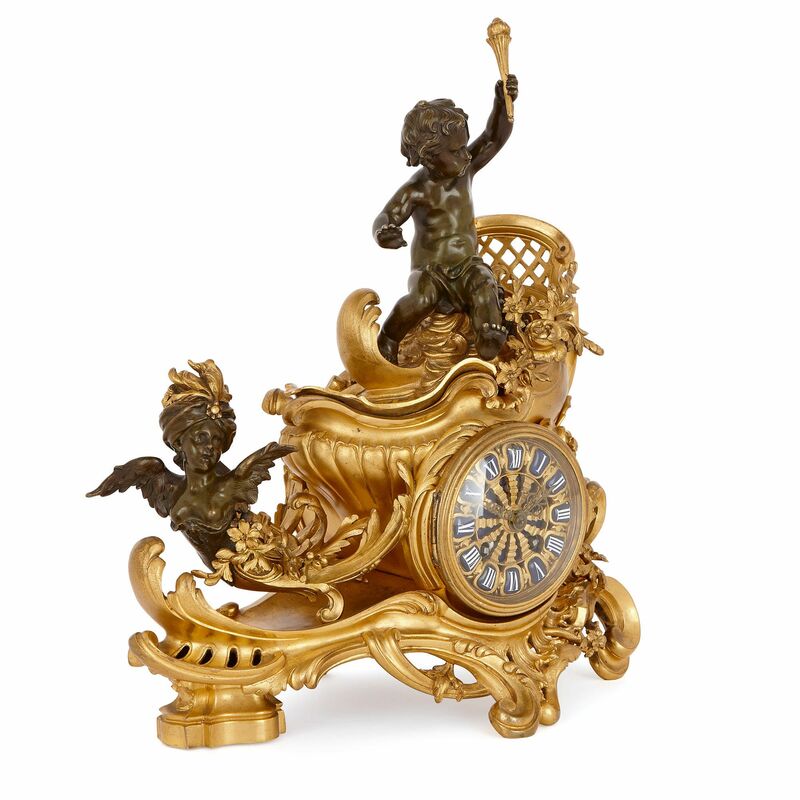 The gilt bronze (ormolu) clock is designed in the shape of a chariot, which is pulled by a patinated bronze, half-length winged female figure, wearing a turban that is decorated with a plume of gilt feathers. The chariot is composed of a dynamic combination of C and S scroll acantus leaves and curling pierced forms. 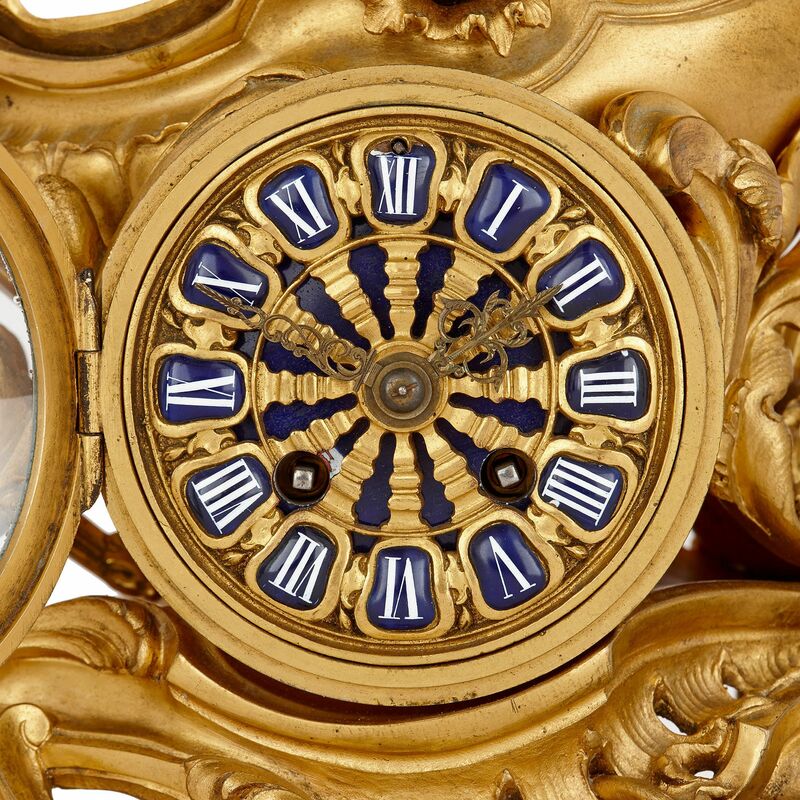 It is mounted, on its front, with a circular gilt bronze dial, with blue and white enamel Roman Numerals. 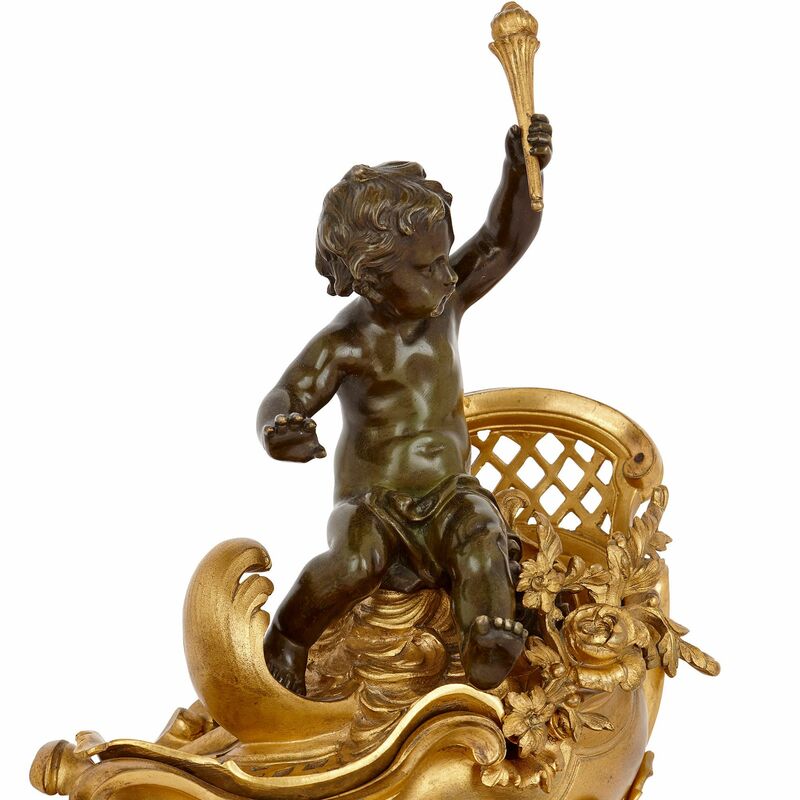 The chariot is driven by a patinated bronze putto, who holds aloft a flaming gilt bronze torch. 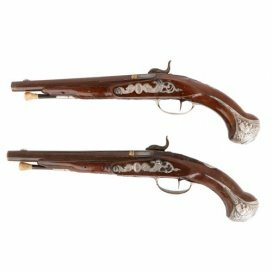 Two three-light candelabra flank the central clock. 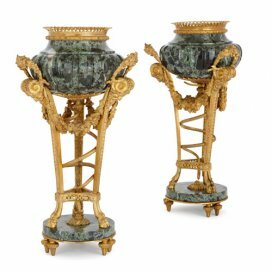 Each is composed of an undulating, gilt bronze scrolled acanthus base and stem, which is topped by a half-length patinated bronze putto. 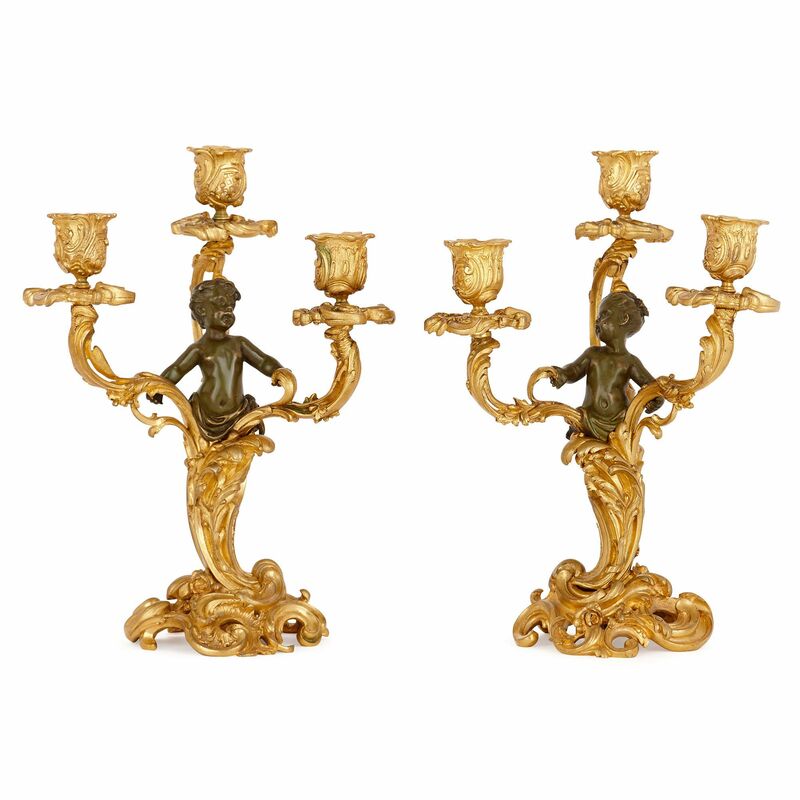 Three twisting foliate branches top each candelabrum, terminating in drip-pans and urn-shaped capitals. 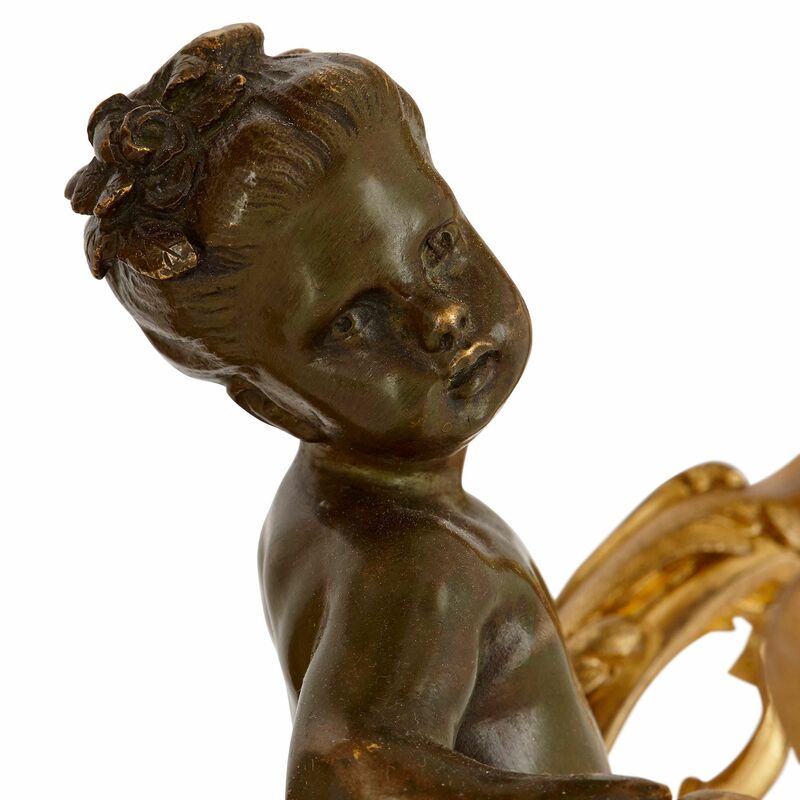 The clock set has been attributed to François Linke, one of the most important craftsman of the late 19th Century. 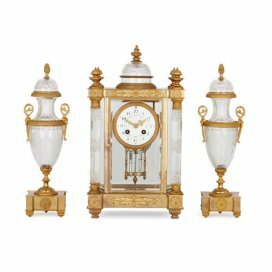 Linke was active in Paris, where he became famous for his beautiful Louis XV and Louis XVI revival style pieces, like this mantel clock. Linke was celebrated for his ability to playfully combine past stylistic modes with fashionable contemporary movements like the Art Nouveau.